Hypnotherapy prices in Cornwall and Devon. How much does it cost to see Trevor? Everything you need to know about booking an appointment is on this page. Opening hours, Professional charges, what happens at your consultation and therapy sessions, how long a session lasts and the frequency of your sessions. If you would like to ask any questions or would like to book an appointment, you can call or email using the contact form below. Terms and conditions of treatment are available upon request. We keep your personal details confidential. We are anti spam and we do not pass your email or contact details on to any third parties. Hello, thank you for visiting our website. If you have some questions about how we can help you, you can send us an enquiry via the contact form just below this section. Simply complete your enquiry and we will reply to you within 24 hours. If you have not received a reply within the time frame above, please check your junk folder first before resubmitting or calling. We value your enquiry and look forward to being able to help with any questions you may have. Dear client, thank you for your enquiry to find out how my therapy services could help you. By providing your email address you are agreeing to allow me to make direct contact with you to answer your enquiry. I would like to assure you at the outset that everything you wish to discuss will be treated in the strictest confidence in accordance with my professional governing bodies regulations. As of the 25th May 2018 a new enhanced Data protection act comes into force which requires all businesses who process any individual clients personal data to comply with the new act. This new act requires businesses, organisations , charities etc to provide a clear policy as to how your personal data is processed and stored and what your legal rights are as a consumer. Trevor Wales Hypnotherapy Solutions as an ethical practitioner fully complies with the act and takes the right to his clients confidentiality very seriously. We strongly advise you to avail yourself of this information and you can read site terms relating to the use of this website with particular regard to email enquiries and the use of this site by both adults and the restrictions which apply to minors under the age of consent. From the receipt of your e-mail, your enquiry will be answered either by email or by phone whichever is your personal preference. However from personal experience helping many clients, to be able to help you the most , Trevor finds it really is better to talk rather than send a lengthy email as during conversation questions may arise which you would like the answer to there and then and perhaps the answer may raise further thoughts or questions. If you would prefer a phone call, in addition to your enquiry, please also provide a contact number where you can be easily reached and some suitable times where Trevor can talk with you informally, for a maximum of up to 30 minutes about the issue you wish to enquire about. At this stage of your enquiry there is absolutely no obligation on your part to commit, however should you wish to go ahead and make a booking Trevor will be very happy to help you further. Trevor will endeavour to answer your enquiry on the same day that it is received, however in busy times he will respond within 24 hours. Your patience and understanding are appreciated. Trevor covers all of Cornwall and Devon and the surrounding towns of Exeter and Plymouth City. For clients living further into in Devon, if you wish to have one to one sessions, please feel free to call to discuss your requirements. Trevor is happy to travel anywhere in Devon. For clients who live outside of these areas, please feel free to contact Trevor about video therapy sessions and personalised mail order hypnosis Cd's/MP 3's. Consultations, Session Charges, CD service and Payment Methods. Trevor provides a complimentary initial no obligation consultation of up to thirty minutes which gives you the opportunity to discuss with him the particular problem which you have that you are looking to resolve, or whatever personal performance related goal it is that you are looking to achieve. The consultation can be via phone or alternatively you can arrange to see Trevor at his clinic in St Austell in Duke Street. The complimentary phone consultation helps you to find out about how he works with you and gives you the opportunity to ask questions you may have about hypnosis, BWRT and the other Therapies Trevor works with and explore just how therapy can help you and also very importantly to find out if you both feel comfortable working with one another. Once you feel confident enough that the therapies Trevor Works with could work for you too, your next step is to choose and book a full fact finding consultation so that Trevor can expand your discussion further and gather valuable information to tailor your personal treatment sessions. The cost for this is at a discounted rate. Please see session fees below. This first session is the most important of all sessions as Trevor will be asking you lots of questions, asked with great sensitivity, whilst listening very carefully to what you tell him in confidence and taking notes with your consent to get to the best understanding of what you want your therapy to do. Trevor will ask you to think about and tell him how different your life will be once you achieve what you want. From there Trevor can advise you what Therapy will most likely be the most helpful and effective for your well being for you to achieve your goals. As each client is different so each therapy is carefully custom tailored to each clients personal needs. No off the peg one size fits all approach is used simply because there is no other person like you. You are unique. If Hypnotherapy happens to be the best therapy for you In your Fact Finding Consultation,Trevor will answer any questions you have and allay any unfounded fears, yes....sometimes there are a few totally unfounded fears which Hollywood can take the all the blame for. Time permitting there will be a short exploratory Hypnosis session of around 20 -30 minutes.This helps to prepare you for further hypnosis sessions. This very important mini hypnosis session is both thorough and invaluable in setting the stage for our work ahead and ensuring that you are able to be properly inducted into the ideal hypnotic state for effective hypno therapy to take place. Clients experience that there are no side effects only blissful deep pure relaxation and they tell him how much they really enjoy the release and experience of such a deep peaceful and tranquil calm feeling that hypnosis promotes even though it only for a brief time. All Therapy sessions must be paid for in full in advance. There is no exception to this rule. This is because of the preparation work required ahead of your booked appointment. Making a booking is simple, by advance direct bank payment, (details upon request) or you can alternatively pay via pay pal. * Please note, introductory offer session price does not include home visit call out mileage charge over a five mile radius of St Austell. Any mileage over a five mile radius is £20.00 per visit anywhere in Cornwall. Your personal one to one Therapy Consultation with Trevor includes the uniquely designed and created Warrior,Settlers and Nomads personality test designed by Terence Watts, owner and principal of the Essex institute of clinical Hypnotherapy, plus a visual, auditory, kin-aesthetic personality test. The personality tests used frequently reveal to clients things they did not realise about themselves in the way that their minds work and the way they think and act, often without realising the 'why' behind the way they do those things. Both personality tests are invaluable tools in showing a client where their strengths and weaknesses lie and also in setting the agenda to help ensure that the client gets the very best results from their therapy programme, often showing clients areas of their personalities which they may then realise they wish to develop. Areas such as creativity, confidence, communication and leadership skills etc. The Warrior’s Settler’s and Nomad’s personality test is a totally unique personality profiling system designed to assess and identify which is the most appropriate hypnosis approach to use which is aligned to your unique personality character traits so that you are able to reach an 'optimum' state of hypnosis easily and effortlessly which is necessary for effective hypnotic suggestion therapy work to take place. The Warrior’s, Settler’s and Nomad’s personality test has been a very successful cornerstone of the therapy assessment model for over ten years for the Essex institute and is not only used by the institute but taught and used worldwide by many leading hypnotherapists to identify 'Who you really are'. Using this system really guarantees the highest chances of getting the client into the best state of hypnosis with the minimum of resistance. Yes, believe it or not some personalities can be very resistant even if they want hypnotherapy! If the wrong approach is used with a client then they will find it almost impossible to enter into hypnosis and it is for this reason that we use this system because as each person is different what works for one person may not work so well for another. The Second Test which Trevor uses is a visual, auditory, kin-aesthetic personality test which is a really useful test to show how your mind primarily works within the key senses. For those clients who understand about the key senses, for simplicity we incorporate olfactory and gustatory senses into the kin-aesthetic (feelings) part of the test. Knowing how a clients mind primarily works helps pinpoint to the type of elements which would be brought into play into the ensuing hypnosis sessions. for e.g. a person who is essentially visual will respond much better to suggestion work where imagery is presented rather than sounds and so on. Session charges. How much does it cost? How many sessions and where can I get treatment? We think that the changes, benefits and improvements to your quality of life that the therapies Trevor Works with are priceless, after all, what will it cost you emotionally, not to try therapy and stay stuck with your problem or not achieve that cherished goal? How good will it feel to take action and succeed? The simple truth is that therapy with all of the benefits it can bring to improving your life really does offer excellent life changing value for often just as few as only three to six sessions, all of which can help you completely turn your life around. Hourly session rates starting from only £39.00 for an introductory full one hour relaxation and stress management session available at Trevor's Therapy room in St Austell. Includes a copy of a guided hypnosis relaxation CD or MP 3 version. For clients who are able to pay in full for a prescribed course of treatment sessions in advance, after having booked a Full Fact Finding Consultation, as an incentive to book and pay in full early, an attractive block discount is available on sessions of three or more. Details are available upon enquiry. A full one to one Fact Finding Consultation lasts approximately 120 minutes and is offered at a special introductory price of just £90.00 saving you £40.00 on hourly session fees and is held either at Trevor's Clinic in Duke Street St Austell or in the privacy and comfort of your own home. Appointments can also be via Skype, Zoom, Facebook Video or Telephone. From the fact finding consultation you may like to book further therapy sessions. Please scroll down for further information about session fees. £99.00. Includes session CD/MP 3 and a free repeat session in the uncommon event of it being necessary. A Single Session of Rapid Pain Elimination Therapy can help in many cases, completely remove or at the very least turn down pain to an acceptable and manageable level. Rapid Pain Elimination Therapy uses a highly unique method of pain relief developed in 2017 by Martin Rothery, involving removing the old message of pain by Mind Mediation. Since many Chronic Pain issues have at there root cause a very significant emotional component Rapid Pain Elimination mediates with the unconscious mind to eliminate old beliefs about the messages of pain. RPET deals with both the Physical and emotional components. Many clients report feeling hugely different. For more information please call Trevor Wales on 07740 190261. Trevor is a licensed Rapid Pain Elimination Practitioner under the Umbrella of Future House Therapies. One Fact Find Consultation and a single Hypnotherapy session. £285.00. Approx 3.5 - 4.5 hours one day workshop and recommended for the light to moderate smoker. Includes Cd's/MP3's. Full payment in advance. One Full Fact find Consultation and between five to six Hypnotherapy sessions. £577.00. Recommended for the heavy, hardened long term smoker. Includes all Cd's/MP3's. Sessions may be paid for session by session in advance of each appointment. One Full Fact find Consultation and four Hypnotherapy sessions. £480.00. Recommended for the person with moderate to higher levels of weight management needs. Includes all Cd's/MP3's. Sessions may be paid for session by session in advance of each appointment. This is a very specialised area of Therapy treatment fully supported which will run over numerous therapy sessions and likely to run over one year. £985.00. Recommended for the person with a clinical diagnosis of obesity and a BMI of over 30 who has a medical recommendation to lose weight and who does not want to, or is not suitable to undergo Gastric Band Surgery. Includes all Cd's/MP3's and also follow up support contact up to one year. An initial non cancelable deposit of one third is required upon booking, thereafter the balance may be paid session by session until completion of the programme. For more detailed information please call. N.B. please note that in certain circumstances call out fees or additional room hire charges may be applicable if my clinic space can not accommodate a clients specific needs. Multi session advance bookings only. One Full Fact Finding Consultation and an Initial four sessions. £480.00. Includes all Cd's/MP3's. Full payment in advance. £75.00 per hour. The first session is a 2 hour session. Full Payment in advance, but subsequent sessions may be paid for session by session in advance. Level 2 is suited to clients with complex in depth issues to resolve which take longer than level 1 treatment. A course of five sessions £425.00. Full Payment in advance. Please note for level 2 additional sessions may be required beyond five sessions. Please note that BWRT is also very suitable to be carried out via telephone or Skype subject to initial consultation. 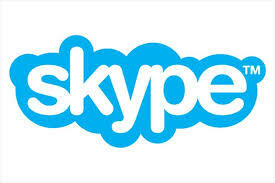 Skype, Zoom, Facebook video, Hypnotherapy Supervision for Therapists. £60.00 per hour or £90.00 for up to two hours. *Your therapy sessions can either be face to face at my clinic in Duke Street St Austell or via Video link both nationally and internationally. Alternatively via phone in the UK or in the comfort and privacy of your own home. All appointments must be pre -booked and are strictly payment in full in advance. Please kindly not that there are no exceptions to this rule. Methods of payment accepted as follows:- Bank transfer is the preferred method of payment. Details upon request. Cash, No Cheques please. Alternatively you may pay by PayPal* who also take Visa and Mastercard. *Please note that for payments via PayPal there is a small processing charge of 3.4% +20 p per transaction. Please ask before sending payment. One of Trevor's clients he treated for a lifelong phobia said that he would have been happy to have paid double the fee for the improvement to quality of life and benefit that his hypnotherapy treatments brought him and another client said that they wish that they had tried hypnotherapy years ago because of the improvements it has brought about in their quality of life. Everyone’s personal therapy requirements are all very different. Hypnotherapy sessions are normally spaced between three to four weeks apart as everything where applicable is recorded for you to listen between sessions. BWRT sessions because of the way the therapy works can be facilitated weekly. Most BWRT clients prefer to have weekly sessions. with some presenting issues it may take a client significantly longer than others for them to achieve the results that they want and to start noticing improvements.For others that change can come about very quickly indeed, sometimes within a few sessions.The most important thing here as with any course of treatment is for you the client to be realistic in your expectations and to give the therapy time to start working. When we go to see a doctor the usual advice for medication is exactly the same.'Time'. Some treatment programmes such as Gastric Band Hypnotherapy,Quit Smoking and long term emotional problems are more specialised than others and require substantially more work to help the client achieve what they want to achieve. Because of all of the above it is simply just not ethical and practical to quote for a general fixed fee course of therapy treatment rather like a restaurant menu and make rash promises that you will have your issue resolved in just one session. Your presenting issue may well be resolved in one or two sessions and some people do find that this can be so for them and that is very good when that happens. However It is a good idea to regard therapy as a journey of exploration on the road to resolving personal issues or achieving those success goals. Typically the average hypnotherapy treatment programme runs at approximately five or six sessions in addition to the first consultation. It all depends upon the depth and severity of the presenting issue. There is no contractual tie in to committing to a specific number of therapy sessions and you guide the therapy not me, however it is a good idea to follow through with the professional advice I have given. Trevor guides the therapeutic process and as your therapist Trevor acts as a facilitator and guides you to work with your own best inner resources using the therapeutic process, but ultimately the treatment is over when you decide you are feeling better and you can see the improved results for yourself and that you are satisfied with the result. As his clients Therapist Trevor is always available for as long as you think you need to see him or in a rare case where you both mutually agree that you have gone as far as you can Trevor can refer you to another Therapist if you wish. Even beyond your treatment programme if you think you need further help with either the same issue because something unexpected has come up in your life or even if there is something different you want help with Trevor is always available to talk to and to work with looking after your therapy needs. During your therapy programme Trevor will be discussing your progress with you at regular intervals to ensure everything is on track and making assessments based upon your feedback and will be keeping in contact on a regular basis with your agreement. Trevor mainly keeps in touch with my clients either by phone, SMS ,Skype or email. At each hypnotherapy session you will receive a complimentary real time digital recording of your very own unique personalised 'live' hypnotherapy session recorded in MP 3 format to help with re-enforcement of hypnotic suggestion meaning faster results and fewer sessions saving you money in the long term. As an add on service clients may also choose to have a high quality custom tailored studio recording with either a waking or a sleeping ending and with or without backing music. Please see the section on Trevor's CD service below. If you do have any questions the best thing is for you to call on 01726 69703 or 07740 190261 for your free no obligation thirty minute phone consultation. Trevor can then discuss your needs informally,in greater detail and give you an idea of how many Therapy sessions you may need and what it is all likely to cost. "Not all therapists work the way I do. Some use off the peg scripts from script books or websites whilst others may offer a more spontaneous form of on the spot therapy and while this may work well in some situations it is never going to be as effective as a hypnosis session that has been considered and prepared in advance of the therapy session from the information gathered from the consultation session and of course from successive sessions as progress is made. Whilst training my tutors taught me the valuable lesson that the most successful hypnotherapy treatments are those that are uniquely crafted and prepared around each clients personal situation.I am certain that my clients want and expect the best and most effective standard of hypnotherapy possible and my custom tailored service is built around the fact that each hypnotherapy treatment is uniquely tailored to your individual needs and my hourly therapy charge reflects all the pre –preparation work of composing your personal treatment script. I am very aware that both quality of service and value for money is very important to my clients. I provide you, the customer with a real value for money service. I do not charge separately for all the hours of preparation work that go on behind the scenes in writing your personalised hypnosis scripts that I will be using with you prior to your therapy appointment, other than the consultation and the agreed session fees and so I hope you will see that my hourly rates are indeed very reasonable when considering the life changing gains that hypnosis can make to your state of mind and well being. In addition any interim phone calls or Skype calls to assess your progress is all inclusive in my hourly rate." For call out home based therapy anywhere in Cornwall Trevor charges a flat rate of £20.00 each way per visit over the five mile radius of St Austell. Some of Trevor's clients asks him to visit them at home and as he occasionally spends a good deal of time on the open road and down country lanes this will have some bearing in cost. You may live right up in the top of the county or the bottom or at the other end of Cornwall. Trevor is roughly in the middle so that’s not a bad place to be. Trevor is also happy to travel into Devon. Dear prospective client, from the outset Trevor wants his clients to feel both comfortable and confident that they are in safe professional ethical hands. For that reason a clear set of terms and conditions have been drafted so that every client has a comfort level and clear frame of reference of the professional relationship between yourself and Trevor Wales Hypnotherapy Solutions that leaves you with an understanding of what your rights and protections as a client are and what you may reasonably expect of Trevor as your therapist throughout your professional relationship. The document explains what happens at each appointment along with Trevor's professional and legal obligations to you as a client as well as what is expected of his clients during the therapeutic process. For the therapy process to commence the document will need to be read and signed by yourself and Trevor. In the case of working with a minor the authorised legal guardian must sign and must be present at all times. Trevor is a registered data controller and is registered with the ICO and acts in accordance with the data protection act. Your confidentiality is assured within the scope of Trevor's terms and conditions and the data protection act. A copy of Trevor's terms and conditions which outlines his professional relationship with you is available upon request. I write unique personalised tailored hypnotherapy scripts for each of my clients based upon the initial findings at the consultation and at successive therapy sessions.This ensures a precise and targeted therapy approach based upon each clients specific presenting issue and individual needs and this approach is overall far more effective than the ‘one size fits all’ off the peg hypnosis CD scripts that are freely available and which often do not deliver the results the client is looking for. Furthermore as progress is made it is relatively easy to change and adapt the custom tailored script to reflect the client’s progress and new situation. As well as the complimentary "live" session recording I give to my clients,an individual personalised high quality studio CD recording of your hypnotherapy session is available as an optional add on to enhance your therapy session and is highly recommended for the most efficient and effective way to assist in the reinforcement of your hypnosis treatment sessions to become a lasting and permanent change in a relatively short time period and is available with either a waking ending or alternatively a sleep ending enabling you to listen in bed just before going off to sleep.Since all hypnosis is conducted in the trance state which is the in between state of waking and sleeping, listening in a the deeply relaxed hypnotic state on the edge of sleep, just before you fall sleep is in fact an ideal way to get the best benefits of the hypnotic process,because even when you fall asleep,your subconscious mind still hears everything. Many of my clients actually prefer this method over and above the complimentary session recording with a waking ending that is used at the live session as the convenience of time management at the end of the day of listening and being able to go to sleep without waking up and fully alert means that clients can look forward to a restful nights sleep . Additionally many clients find an added benefit of backing music helps them to relax more quickly and easier and go deeper into hypnosis. As well as the advantage of your hypnosis sessions being recorded onto CD for assisting in the reinforcement of your hypnotherapy treatment for faster and efficient permanent change, your therapy costs are potentially reduced as you may find that you need fewer individual sessions of treatment. A further advantage is that you can listen at your convenience and as often as you deem necessary. Since the recordings are prepared and made prior to your hypnosis session in a controlled environment, any unnecessary and intrusive background noises such as road traffic noise, pets, children etc are not picked up by the microphone allowing you the client to completely relax and totally focus upon your hypnosis session without distractions and noise and worrying if you may be disturbed. As well as offering you the choice of your hypnosis script being recorded with either a waking or sleeping ending,your recording can be mixed with or without soft backing music.These recordings can also be formatted to MP3 for replay on a mobile or tablet device. Cant get to Trevor or dont have Skype?Then Trevor's custom tailored hypnosis, mail order CD, USB Memory stick or download MP 3 service may be ideal for you. Trevor writes and records a personalised hypnosis session for you based upon the information you supply. This is a very popular service that Trevor has been offering clients since 2011. For CD's/ USB Sticks its £75.00 each programme plus p&p,posted anywhere in the U.K.
Alternatively Trevor's MP 3 service means you can simply download your very own personalised hypnotherapy session that is unique to you straight onto your pc, tablet or phone for just £65.00.